Here are a few (affordable and higher end) cell phones that you can consider for gifting: These are mobile models that are made in order to help a user deal with everyday personal and business-tasks more successfully. 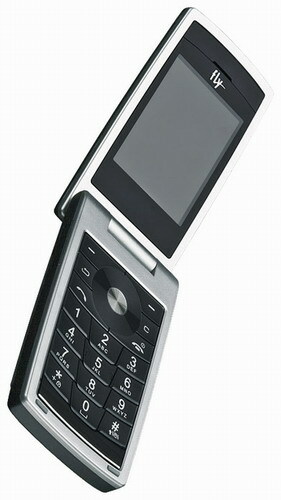 This is one of the premium brand Fly models in the line of their business telephones. It scores on both looks and functionality. The miniature, light-weight device lies comfortably in your palms. The steel frame in the rich black color in the combination with the chromium-plated details and control key of the multimedia abilities make it appear stunning. Fly LX610 Mega comes with 2 mpix camera with auto-focus. This telephone is ready for shooting both video (maintaining formats: MPEG4 and 3GP) and photos with the full resolution 1600×1200 pix. It contains the special camera’s work modes like multi shooting, auto-timer and digital zoom. The multimedia files may be stored in the embedded memory (88 MB) or by using the micro SD card. The melodies may be downloaded in any format both from Internet and from PC. The downloaded or embedded JAVA-games will help you relax. The browser WAP 2.0 allows access to the WAP resources and for Internet-surfing. The admirers of the mobile office will appreciate the GPRS-modem function. Priced at Rs 8000 plus, it is a perfect gift for the young working men and women. For those who want to gift a simple phone with no complicated controls, this could be the perfect choice. It’s a simple candy-bar that can be used as an USB PC webcam and doubles up as an integrated webcam. It also comprises applications like Alarm, Calendar, Stop Watch, Calculator, Unit Converter, Currency Converter, To-do-list, World Clock and Bio-rhythms. Hinglish Messaging provides language support in Hindi and English. The new Intex IN3333 mobile phone is available for Rs 5,000 plus. This device is as simple to operate as a basic electronic gadget can get. Gifts – are they really stimulating and socially efficient?